Who should be trusted with confidential government business? It's Brampton's turn to grapple with the question: Who should be trusted with confidential information? 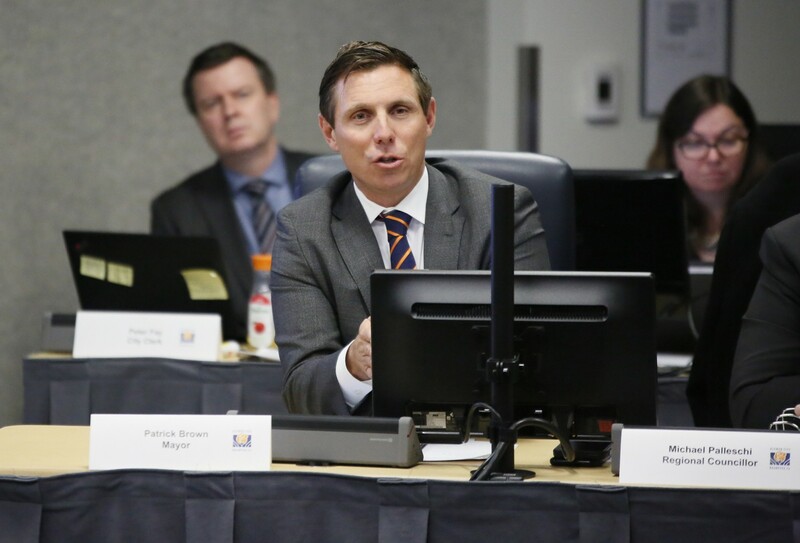 At Wednesday’s meeting of the council, councillors restored confidential privileges to Mayor Patrick Brown’s chief of staff, Babu Nagalingam. If he so chooses, Nagalingam is allowed to be by the mayor’s side during closed-session meetings and be privy to classified information. The month before, council had voted to bar chiefs of staff from attending in camera sessions — ending a long-established practice mayors relied upon. The question of trust in Brampton city politics is more important now than ever. What transpired at the Jan. 30 committee of council meeting offers a clue as to why the ban was lifted. Councillor Gurpreet Dhillon sought relief from certain procedures that, he believed, were impeding his ability to brief himself before in camera sessions. 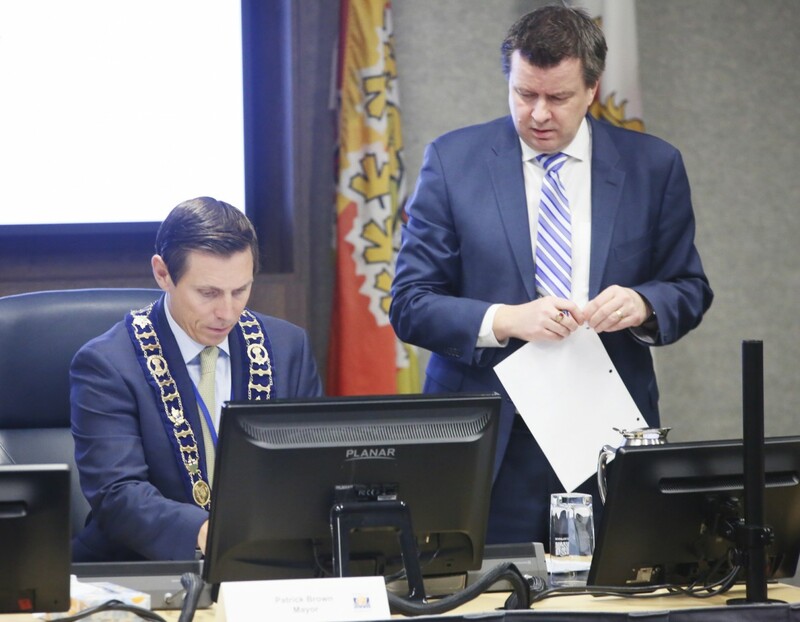 To curb the chance of a leak, councillors were now receiving confidential documents at the closed-session meeting rather than in advance, as had been the case prior to November. “In order to make decisions, we are decision makers, we need to have a proper amount of time to actually read these materials,” Dhillon said in council. Michael Palleschi supported Dhillon’s motion, and so staff will report back with options on possible procedural changes. 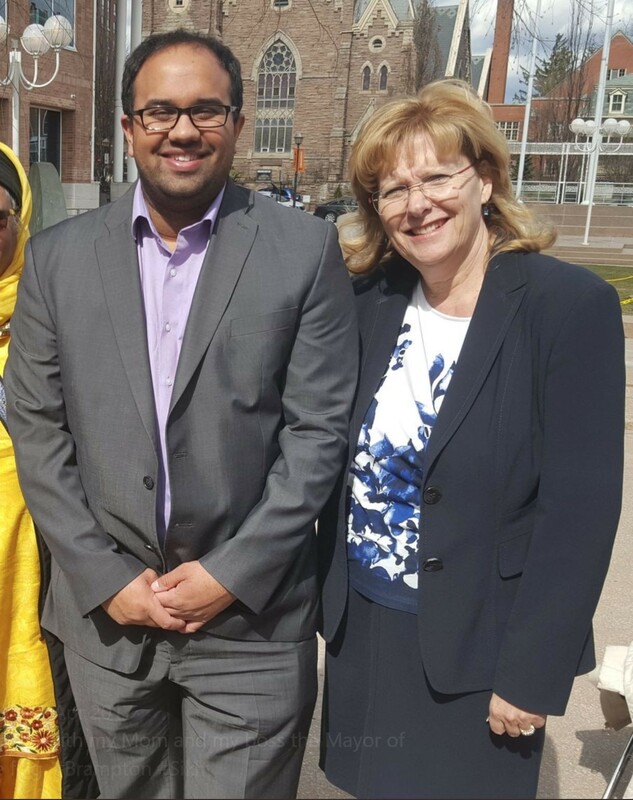 Last November, sources inside city hall told The Pointer about confidential documents that had been shared by former mayor Linda Jeffrey’s chief of staff, Hasneet Singh Punia, with two Brampton MPs. He had shared a city document describing a proposed land deal needed to address the Goreway Bridge traffic problem. The City of Brampton was hoping to execute a deal with the province, which owned the land. Punia sent the document to Brampton MP Raj Grewal and Minister of Innovation, Science and Economic Development Navdeep Bains. A consortium of about 10 investors, some of whom had ties to the federal Liberal party, which Grewal and Bains belonged to at the time (Grewal has since been removed from the Liberal caucus and now serves as an independent MP), purchased the roughly 20-acre parcel from the province for about $3.3 million, then turned around and sold it to the City of Brampton months later for approximately $1.1 million more than what they had paid. The investors released a statement after The Pointer reported details of what happened denying that the consortium had received any information from Grewal, Bains or anyone else about the land deal or its negotiated price. The previous city council decided to hire a Toronto forensic investigation firm to probe the circumstances of the deal, which resulted in taxpayers footing an inflated price for the property. The firm found that Punia had given the information to Grewal and Bains, a fact council had been unaware of. When it was reported the RCMP was investigaing Grewal over his enormous gambling debts, an alarmed council sent the results of the investigation to the RCMP. In his memoir Takedown: The Attempted Political Assassination of Patrick Brown, the mayor relates a story about advice he received from his mentor, former Ontario premier Bill Davis, in the summer of 2016. “‘The most important thing, Mr. Brown, is that you have around you good, smart people whom you respect and trust. That is essential. Not just people who tell you what you want to hear,’” Davis advised the former leader of the Ontario PCs, when Brown sought his counsel at the time. Perhaps that advice rang in Brown’s head when he came to the troubling conclusion that his provincial staff could not be trusted. In his hour of need, his chief of staff, Alykhan Velshi, campaign manager Andrew Boddington, and chief strategist Dan Robertson — immediately after orchestrating an ill-conceived press conference for Brown the night sexual misconduct allegations against him were made public —resigned their posts via twitter, leaving Brown alone, save for family and some loyalists, to deal with the firestorm that followed. Brown reluctantly resigned as leader of the Ontario Progressive Conservative Party that night under pressure from party leaders. More than a year after Brown departed from Queen’s Park, trust within the PC party has again become an issue. A bill drafted by the PCs which confirmed the fears of many that the government was working toward a two-tier healthcare system in Ontario was leaked to the Opposition NDP, who immediately sounded a public alarm. The Ontario government aggressively pursued the leaker, even going so far as to involve the OPP. “I am writing to confirm that as a result of our investigation into this matter, the employee responsible for this breach is no longer employed in the Ontario Public Service. The Ontario Provincial Police have also been notified,” said a memo from the interim head of the public service, Steven Davidson. 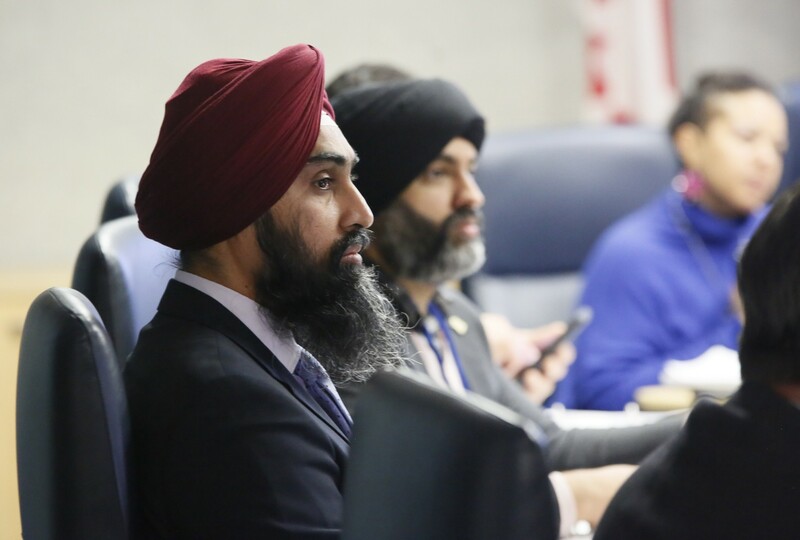 With Punia’s name on the minds of many at city hall, the City of Brampton will have to deal with any consequences of an RCMP investigation into the matter surrounding the confidential information he passed on to Grewal and Bains.